Oven 27 – In clay oven inside, this oven is insulated with expanded clay, thus giving more revenue to the oven. 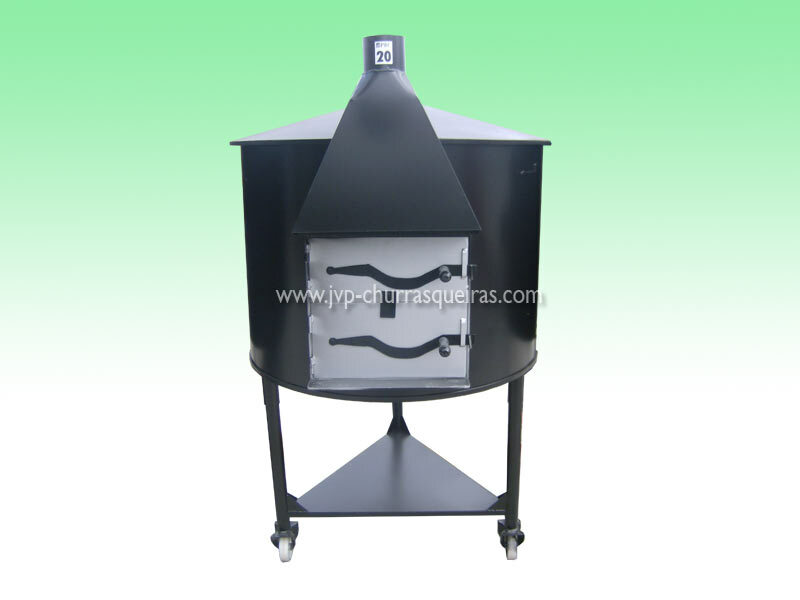 This furnace is housed in a metal frame with wheels, which always gives way to move to another site, this oven includes a grill stainless inside, shovel, rake and spit, apron and glove. This oven is ready for use.